VILLAGE OF PINEHURST, N.C. (June 2, 2014) – Pinehurst Resort & Country Club today announced it has completed the acquisition of National Golf Club under terms finalized with current club owners, the Robinette family. The Jack Nicklaus Signature Design course, also located in the Village of Pinehurst, opened in 1989 and is the only course by the famed designer in the Sandhills region. The course will be named Pinehurst No. 9 and is immediately available to Pinehurst Country Club members. Pinehurst Resort guests will begin play at No. 9 in early July. The acquisition of National Golf Club reflects Pinehurst’s continued emphasis on enhancing amenities for members and resort guests. Pinehurst recently completed a $4 million renovation of its clubhouse and has plans for an expansive, multi-million dollar aquatics facility targeted for completion in summer 2015. The acquisition gives Pinehurst a collection of courses designed by, or restored by, some of the game’s most recognized names, including Donald Ross, Jack Nicklaus, Bill Coore and Ben Crenshaw, Tom Fazio, Rees Jones and Ellis Maples. 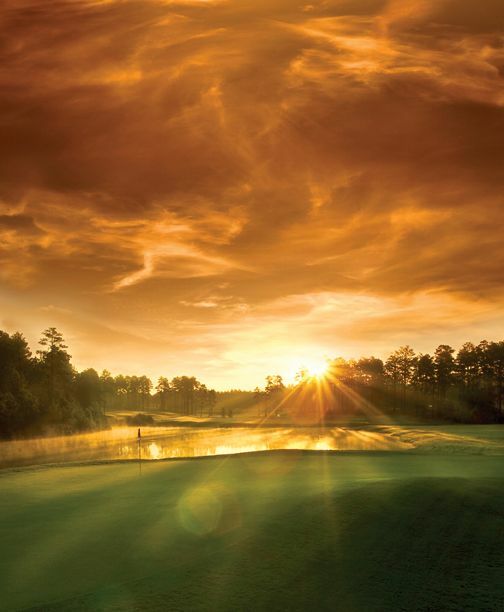 National Golf Club opened to rave reviews nearly three decades ago and continues to offer one of the top golf experiences in the Sandhills. The club recently underwent a renovation that softened green contours and re-grassed with more consistent A1/A4 bent grass. National Golf Club also includes a 30,000 sq. ft. clubhouse, five tennis courts, pool, banquet facilities and restaurant. For more information, visit pinehurstmedia.com.